This was such a great movie! Filled with lots of twists and turns, this movie kept on surprising me. I don't know how many times I jumped, if you asked my husband, he would say throughout the entire movie, lol. I was really excited to see it mainly because I am a huge fan of Dylan O'brien and his character Stiles from the hit show, Teen Wolf. I immediately became a fan of this movie after watching it and was impressed with the story line. This movie is based off of the best selling book from James Dashner. Now that I have seen the movie, I'm guessing the book is even better, so I'm really excited that I get a chance to read the book as well. I'll have to share with you all later the two comparisons and let you know which one I prefer. I've also learned that the book is a trilogy, so I am hoping that they will continue with both part two and three of the movie as well. In the meantime, I'm excited to catch up on all three books. Filled with lots of adventure, excitement and thrilling plots, The Maze Runner will have you glued to the screen. The actors did an amazing job and fit so well together. Their chemistry together was on point. Not only was it nice seeing some familiar faces, but it was also nice seeing some new faces on the screen with this brand new hit movie. My son was really excited and wanted to watch it. He's heard a few older kids on his school bus talk about the movie. He's only seven so I opted for him not to see it just yet, but I can't wait until he is old enough to watch it because I know he'll love it. Definitely a great movie and the end will leave you shocked, wanting more and wanting to see what is next for the group. I'm happy and excited to offer our readers of Just Us Girls a copy of both the movie and book! Disclosure: All opinions are my own. 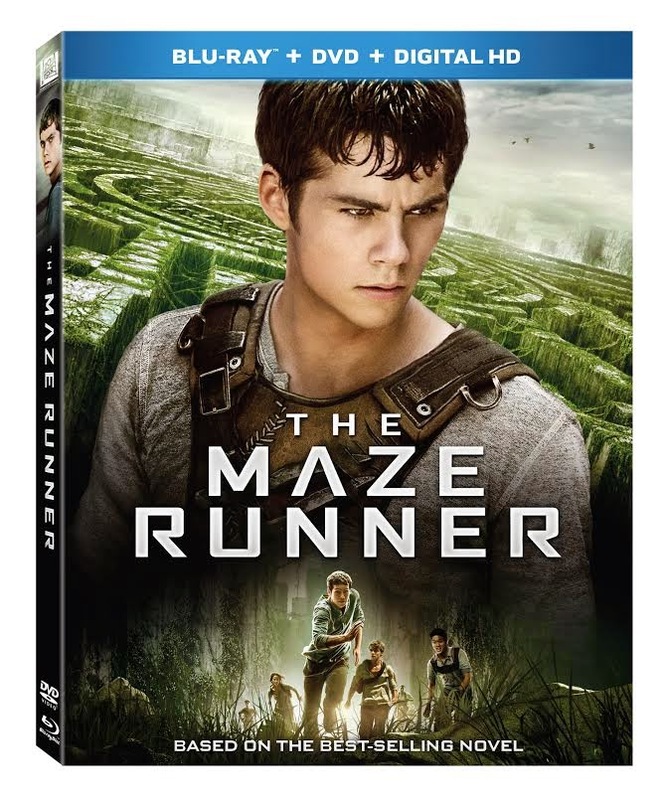 I received The Maze Runner book and movie at no cost for the purpose of this review. No other compensation was received.